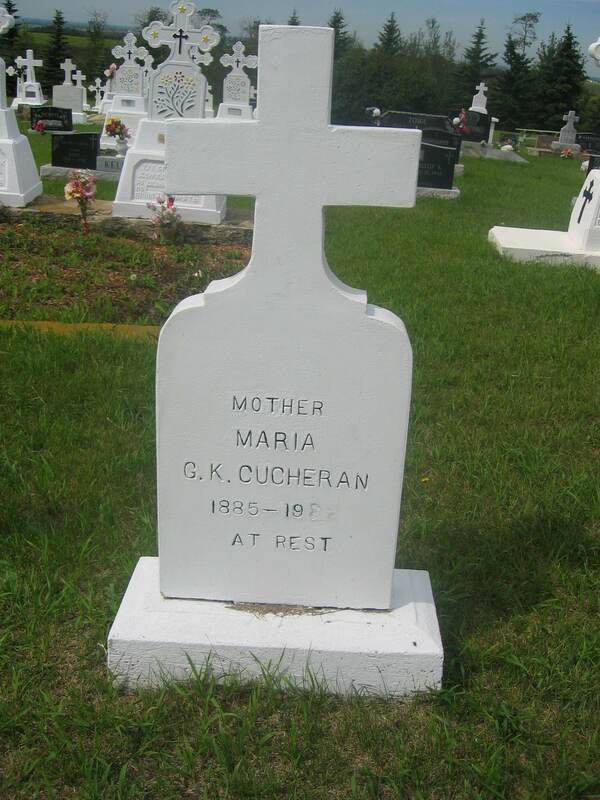 George K. Cucheran arrived in Canada about 1900 at age of 24. Maria, a young girl of 12, came with her parents Mr. & Mrs. Nicolae Yurko. 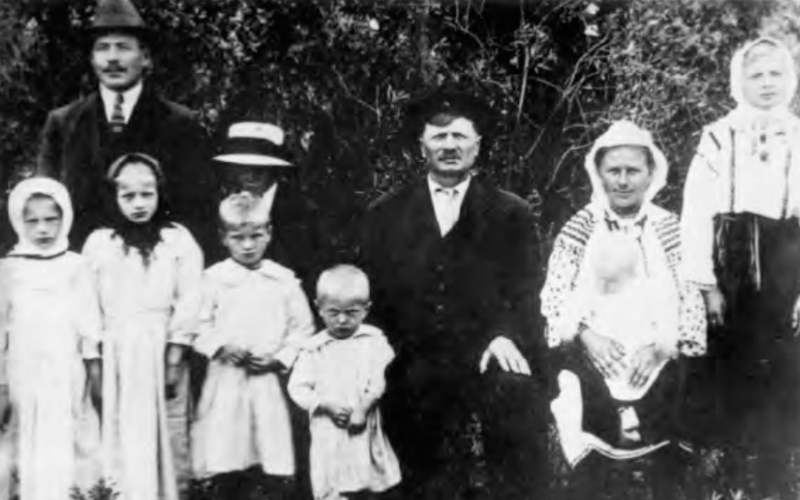 They were married in the Romanian church at Boian several years later and settled in the Boian district. Of this marriage nine children were born. Helen, the first born, died in infancy. Katie is the oldest of the surviving children and owns and operates a garage in Edmonton. Doro¬thy was next. She married Steve Cochrane and had two children Robert and Eileen. Dorothy always main¬tained a keen interest in Romanian culture and Romanian activities. The next child was a boy, Toder, who unfortunately passed away at 15 of a ruptured appendix. Elie passed away recently. 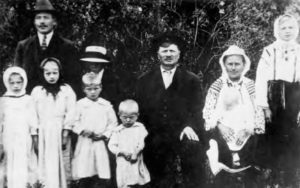 Constantine (Kost) farmed successfully in the Willingdon area and then retired to Camrose where he resides with his wife. John also farmed in the Willingdon-Hairy Hill area but sold out and moved to Courtney, B.C. where the climate is milder. The youngest son Steven is in business in Calgary. Annie, the baby of the family died in infancy. 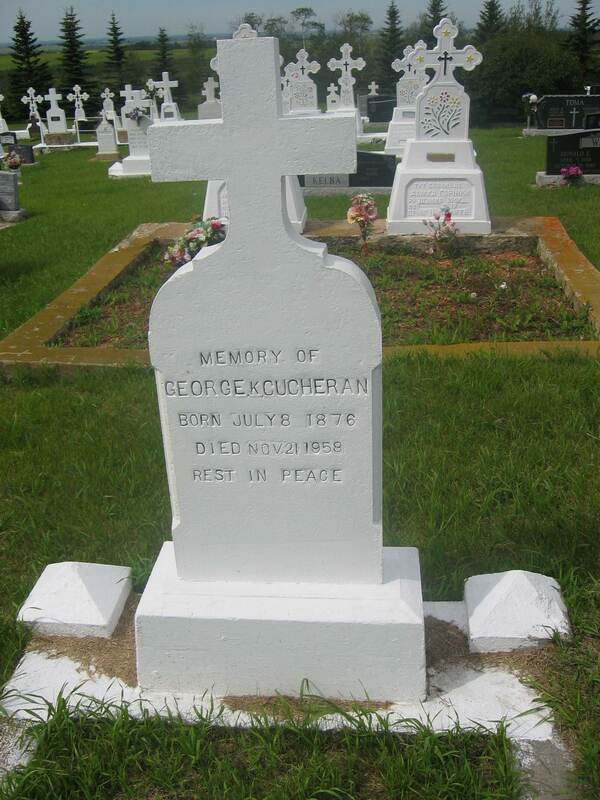 George Cucheran always took an active part in the local community. He was the first official trustee of the Boian Marea S.D. #2053 and chairman of the board for a number of years. Later from 1928 on he was a member of the Willingdon school board. In addition he operated the first P.O. at Boian, was a member of the Romanian church, and for a time a councillor in Eagle Municipal District. He passed away in 1958 at the age of 82. Maria outlived him by about 24 years and passed away early in 1982 at 96 years of age. George was born on June 8, 1876. Father – Chiriac Cuchurean. Mother Elena Toma. 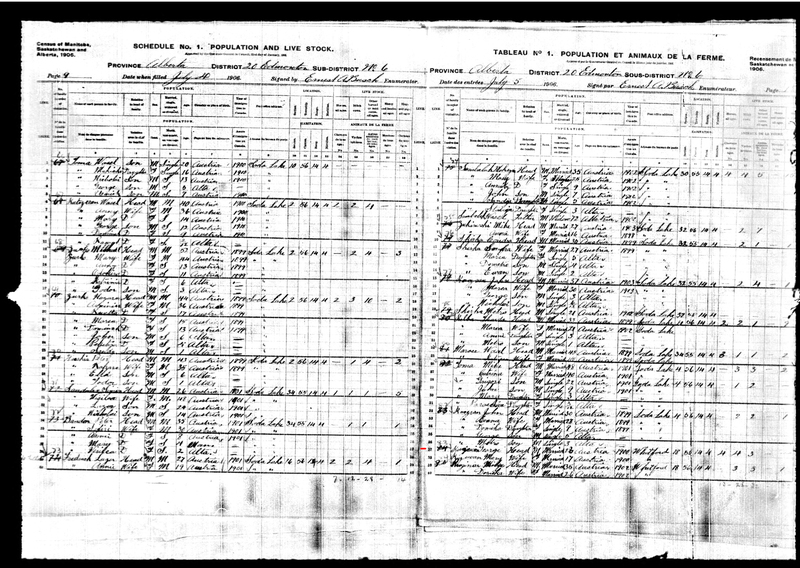 Chiriac Cuchurean and Elena Toma marriage record. Jan. 27, 1874. Chiriac, son of Teodor Cuciurean married Elena, daughter of Teodor, son of Stefan Toma. Godparents- Ioan and Domnica Toma. Chiriac was born on July 7, 1851. Father – Toder, son of Constantin Cuchurean. Mother – Paraskiva. Elena was born on Jan. 25, 1855. Father – Toader, son of Stefan Toma. Mother – Domnika.